The St Kilda Film Festival is only a couple of weeks away and so I thought I'd give away a double pass to my favourite event, SoundKILDA! 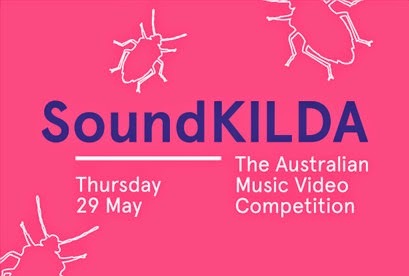 SoundKILDA is Australia’s only dedicated music video competition that celebrates and screens music videos the way they should be – loud and large on the big screen. The St Kilda Film Festival is back again at Melbourne's iconic cinema The Astor Theatre. Last year, the one and only Gotye won the audience voted category for his video Easy Way Out by the production company Oh Yeah Wow. Some of the entrants in this year's competition include Stonefield, Bob Evans, BigScary and Vance Joy. Check out the full list of videos here. Entrants must be a resident of Melbourne, Australia, or in Melbourne the night of the 29th of May. The name of the winner will be put on the door list at the Astor Theatre. Tickets valued at $27 adult/ $22 concession.